Topical songs can be a tricky proposition for many artists striving to make timeless statements whenever they make a record. 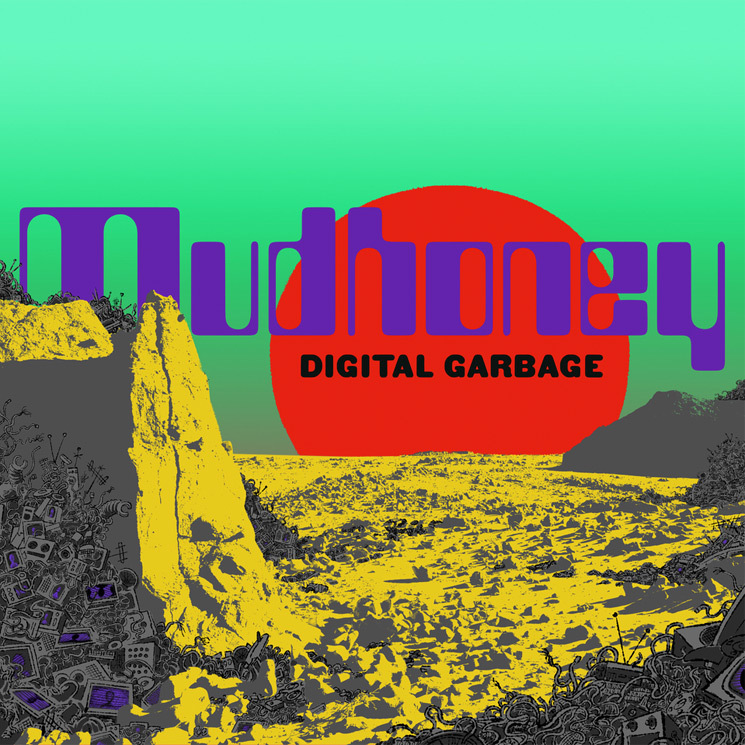 After 30 years together as a band, Mudhoney strike a remarkable balance between conjuring sharply ferocious punk soundscapes for songs whose lyrics go directly after the various and nefarious headline makers of the day. While it's an era ripe for protest music, few American bands of Mudhoney's stature have stepped up to take on this anxiety-inducing and partisan landscape. For his part, singer and primary lyricist Mark Arm is not here for any of this horseshit. The rampant hypocrisy and dishonesty among right-leaning politicians, media figures, religious proponents and conspiracy peddlers are all dealt with on Digital Garbage, an album that surveys the current cultural and technological landscape and shakes its head before rearing back and screaming in exasperation. With Mudhoney in full force, ready with cool riffs and thundering rock rhythms, Arm howls things like "Paranoid Core" and "Kill Yourself Live," where the impact of mindless social media is articulated from a mouth gargling sarcasm. The satiric aspect of this record, on powerful songs like "21st Century Pharisees" and "Prosperity Gospel," which decry false faith and greed at the environmental expense of a planet — the only viable place where such wealth can be enjoyed — are among the strongest songs in the band's catalogue. By "Next Mass Extinction," Mudhoney, sounding like zombies, suggest we'll be "replaced by nothing" when the human race extinguishes itself.